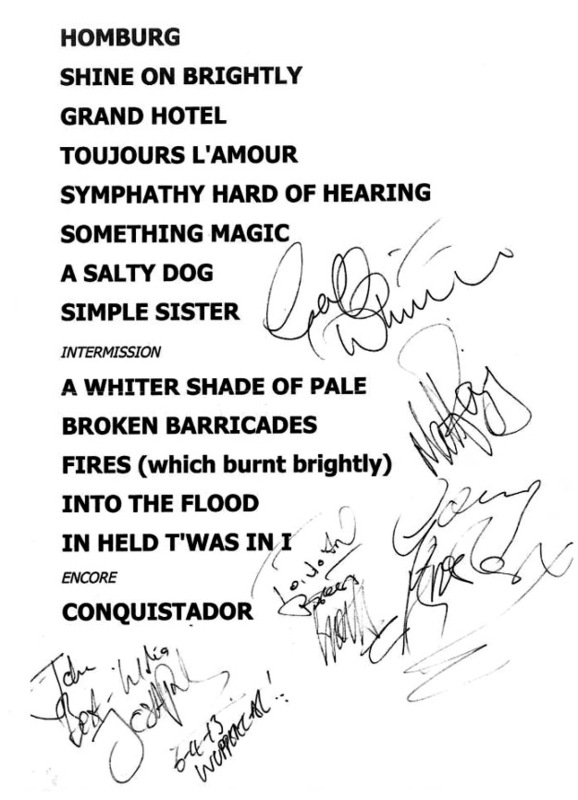 This setlist (right) from Saturday 6 April has been signed by the entire band, who I must thank for their camaraderie at the "Echoes in the Night" gig in Live Club Barmen on the Saturday. Special thanks to Josh who made me welcome to join him and family. My friend John was unable to be there, but the band made his trip by sending him good wishes as he lay in his bed contemplating the morning hangover! Shine on!